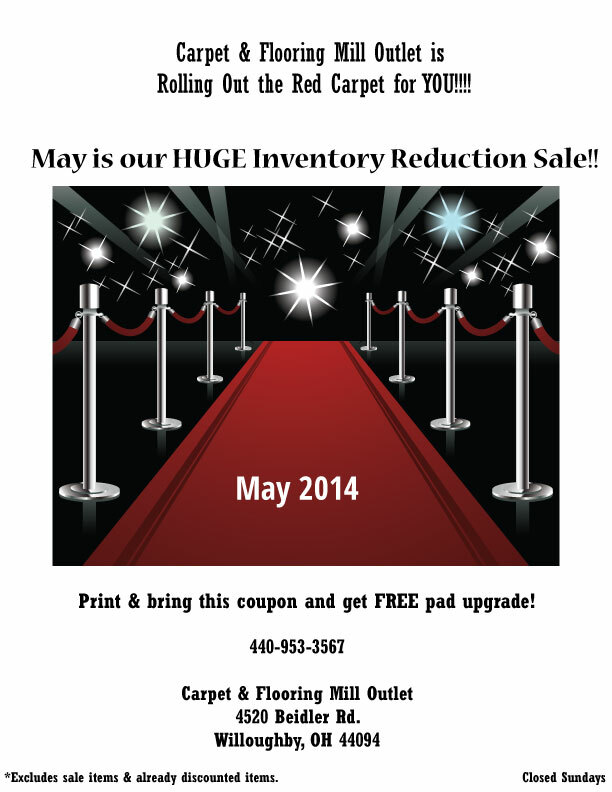 Carpet & Flooring Mill Outlet offers the largest inventory of flooring in North Eastern Ohio. Come to our warehouse and showroom in Willoughby to get the deepest discounts available. Click here to download our latest coupon for Huge Savings!